The roof is the most important part of your home as it directly defends you against dangerous environmental elements. 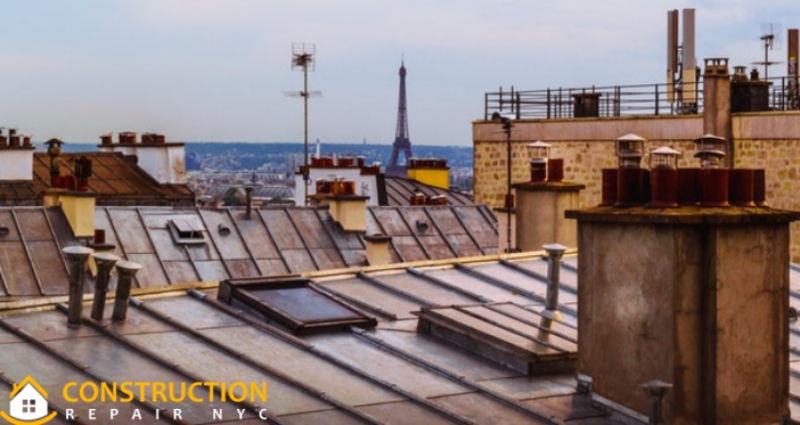 But, depending on the type of roof and the conditions in your place, it is not uncommon to face many roof issues and some of which need professional repairs or also call for roof replacements. The most common roof issues homeowners might face are mentioned below. The most common roofing problem. There are as many causes as there are roofs right from cracked flashing to broken shingles, slate or tiles. 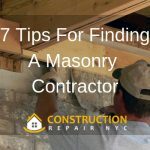 Some of the most usual roof leaks have a tendency to occur is near the chimney, around gutters, under damaged shingles, close to vents and pipes, at flashing points, in low spots or valleys, and at skylights. 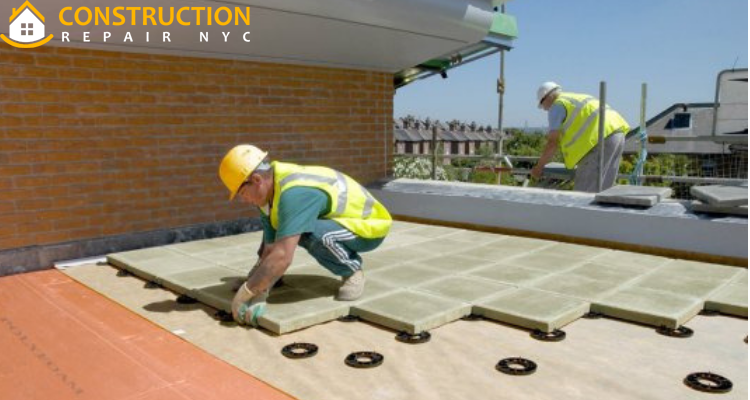 In case you see signs of a leak, contact Construction Repair NYC for an inspection from their residential Roofing Contractor Queens NY. 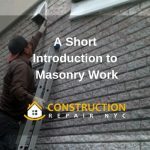 A shrinking roof material can lead to many other difficulties like cracking, deterioration and the pulling apart of important components such as flashing. Remember shrinkage mainly affects roofs covered with a synthetic rubber membrane that is known as EPDM and all other roof coverings. 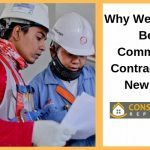 Expert roofing contractor NYC at constructionrepairnyc.com have years of experience performing flat roof repairs. So if you need your roof inspected for signs of shrink, just call them. 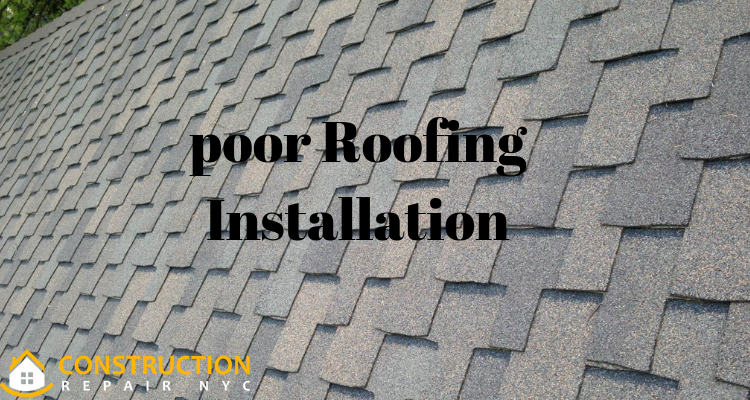 Remember hiring a poorly qualified or inexperienced roofing specialist or General Contractor Bronx NY can cost you money in the long run. 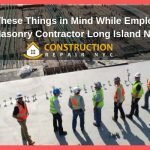 The most common reason for long-term complications is shoddily installed roofs. 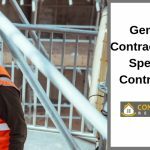 Construction repair NYC, a reliable Construction Company Brooklyn NY has been in the business for years. Their professional team is highly experienced and knowledgeable. They do the job right that means you don’t face costly repairs. Bear in mind that Lack of roof maintenance is a roof’s worst enemy. Several problems start out as minor, but if not fixed these problems they can create serious damage to your property. Also, regular inspection and repair can extend the life of your roof.